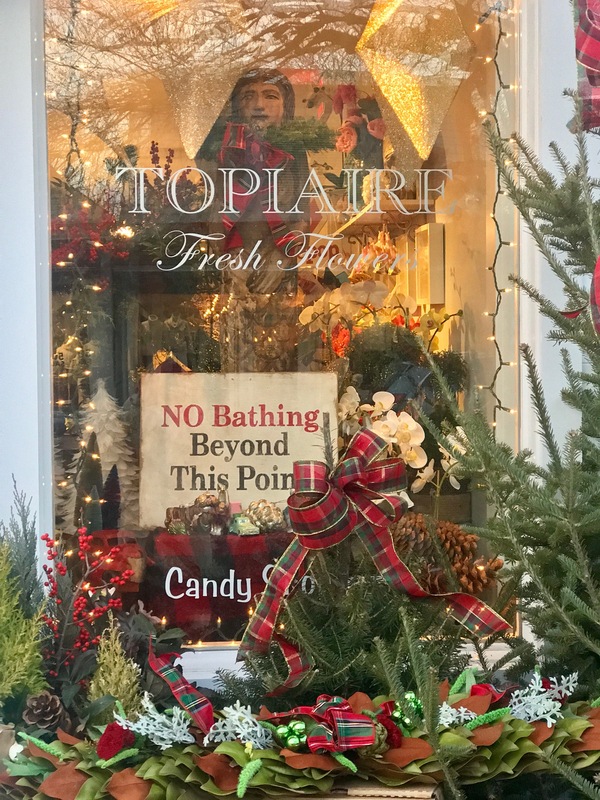 One of my favorite Hamptons destinations during the Christmas season is Topiaire Floral Boutique and Candy Shop, in Southampton. 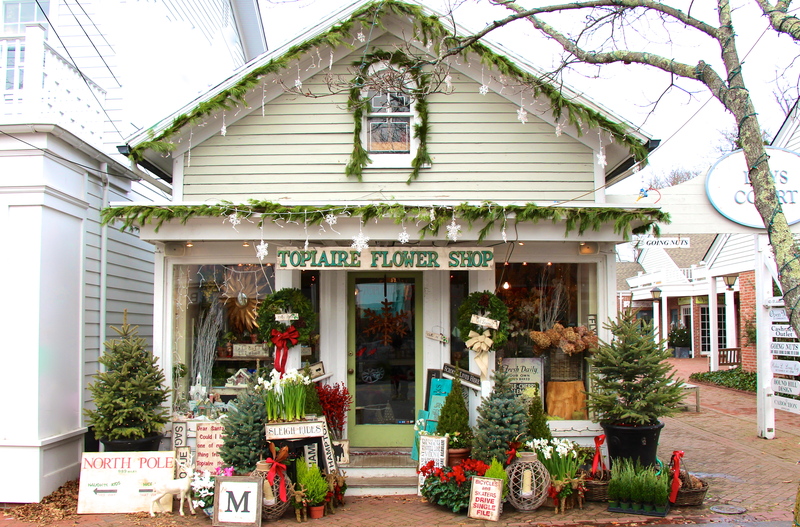 When you step into Topiaire, it feels as though you have wandered into a magical winter wonderland. 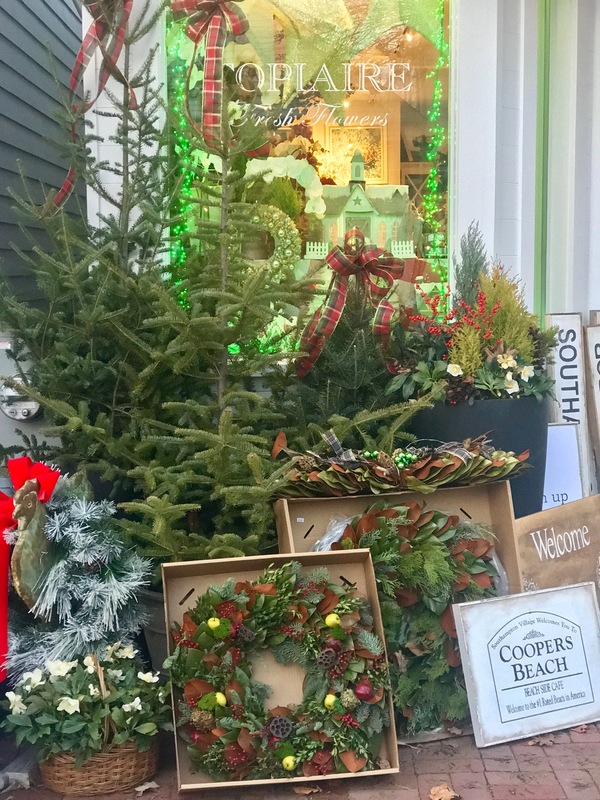 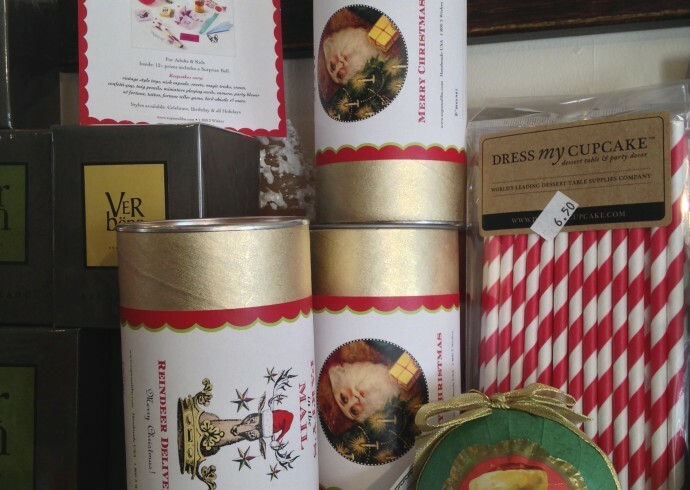 Each holiday season, owner Erin Meaney transforms her little floral boutique into a glittering Christmas village. 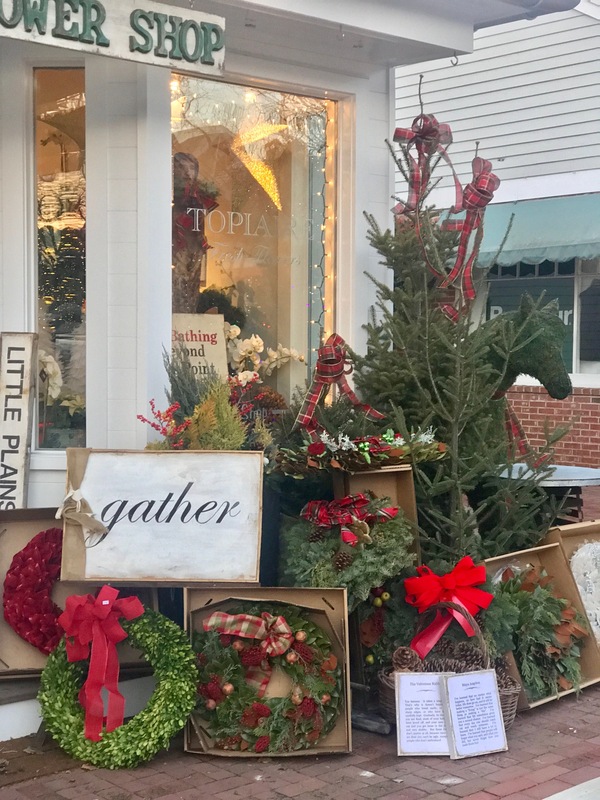 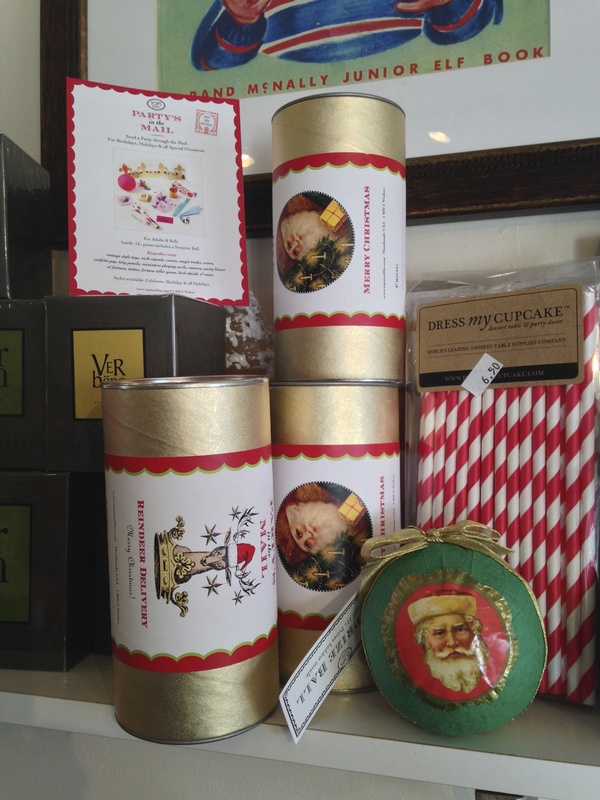 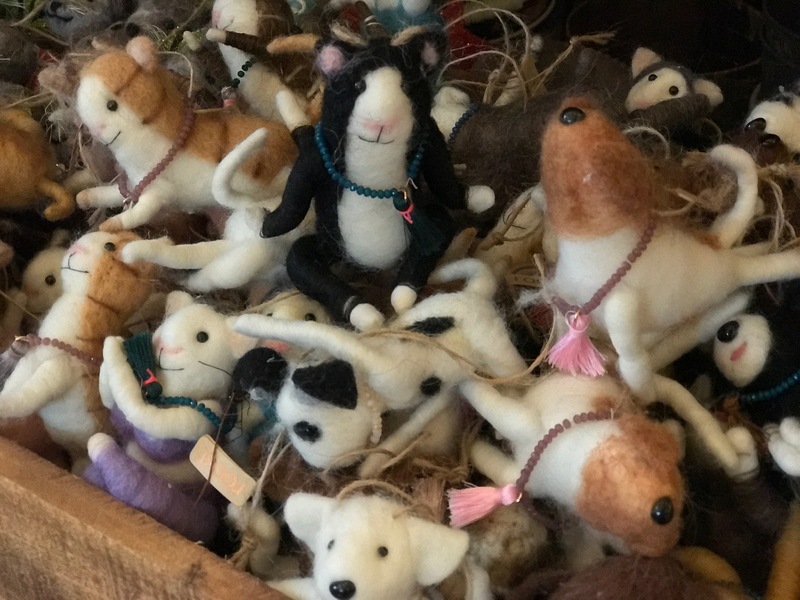 She shares, “My intention is to transport customers with the colors and scents of the season…” We took home some great items for our upcoming Christmas party, gifts for friends, and family. 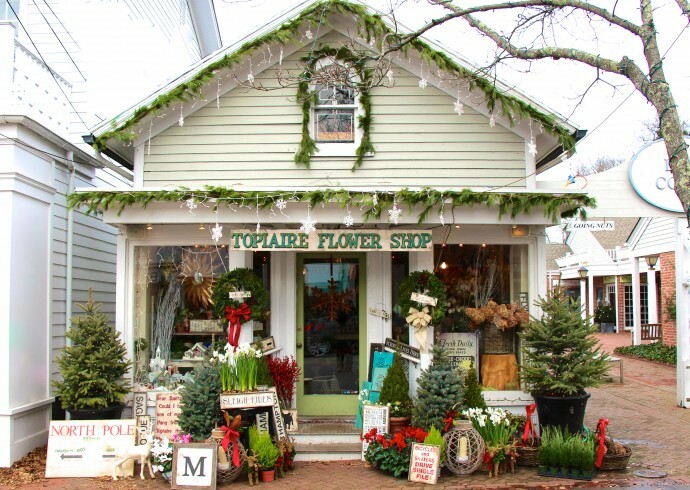 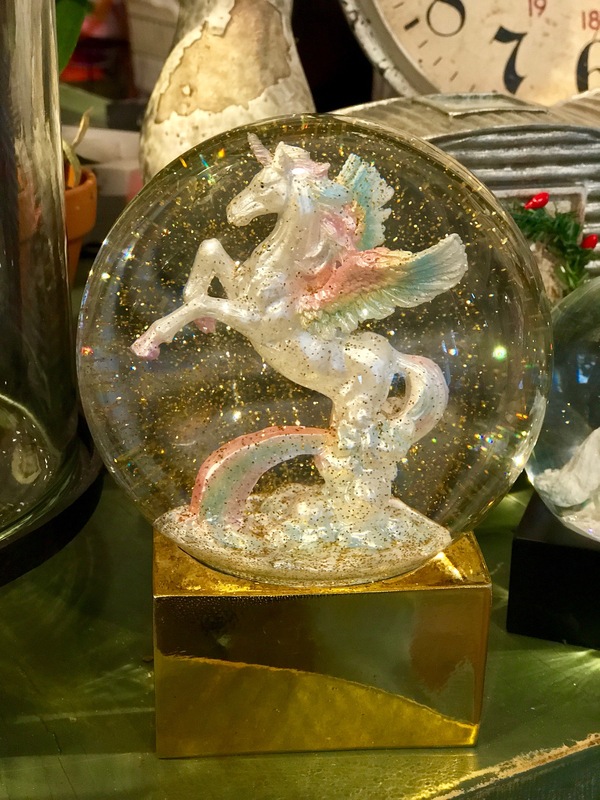 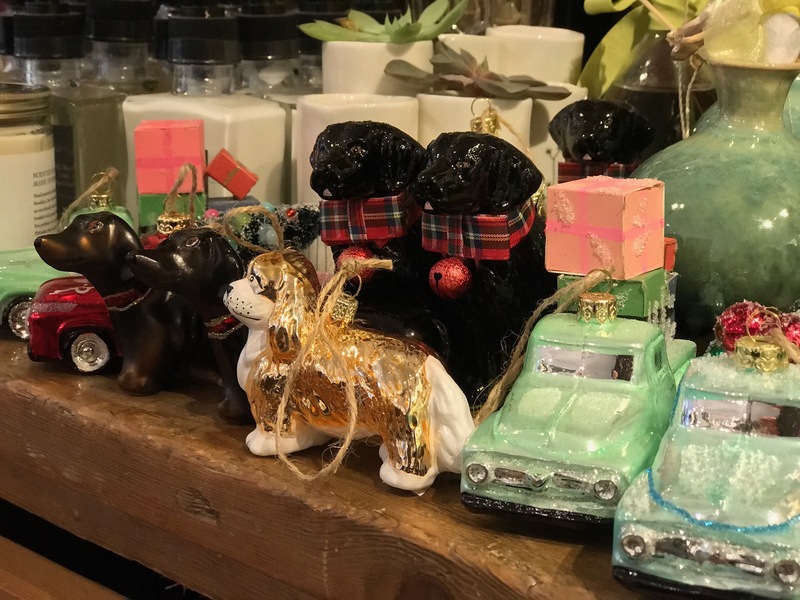 Pop by Topiaire Floral Boutique and the Candy Shop in back to pour over all of the flowers, hand made ornaments, soaps, candles, and curated sweet treats on display. 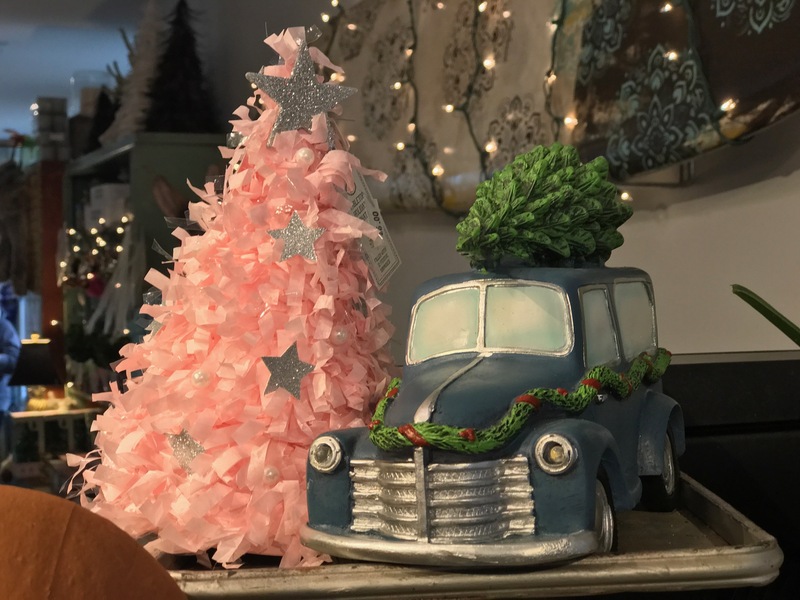 Erin has such a talent. 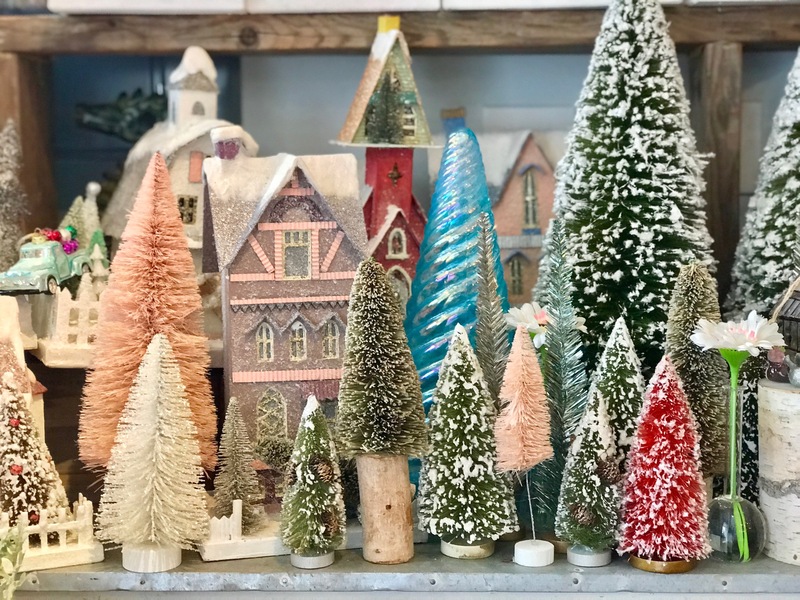 Like a movie set, the scene is always changing~ so don’t miss out!